I know it’s cliche, but wow, what a difference a year makes. I’m back in Canada and this year I arrived feeling positive, energized, happy and sure of my decisions. I even celebrated with a glass of champagne on the flight from Paris to Toronto (ok, so I usually do on Air France flights). You see last year I fell in to a dark hole. I arrived in Canada for the summer after a difficult couple of months in Marrakech. So difficult in fact I didn’t know if I would return to Morocco. And if I did, how long I would stay. The stress was taking its toll on my health. I was feeling unappreciated and defeated in my career. My self-confidence had dropped to all-time lows. I was ready for a change, but I just didn’t know what to do. But thankfully I got through it. Going to Turkey helped, time alone to explore my interests and reflect on where I wanted to be. But I also realized that sometimes we need to rid ourselves of certain people, the type of people that you give and give to, but it’s never enough! So I did that. I started to spend time by myself, just me, because no matter how busy life gets, this is absolutely vital. And something I now look forward to my time to restore myself. I invest in little things to make myself happy, feel good about myself, which happen to be two of the things I love the most: travel and fashion. In a city I just cannot seem to leave. I honestly couldn’t be happier. So while it has been a little quiet on the blog, I have been busy working on client work. You see, with all the changes, I decided to launch my own company: Say Something Communications, offering strategic communications consulting (social media, media relations, marketing, online communications, copyrighting, event management) and writing services to travel and lifestyle clients. But it doesn’t stop there. I have more ideas I’m working on. From the best office location in Canada, the “cottage” in rural Ontario. 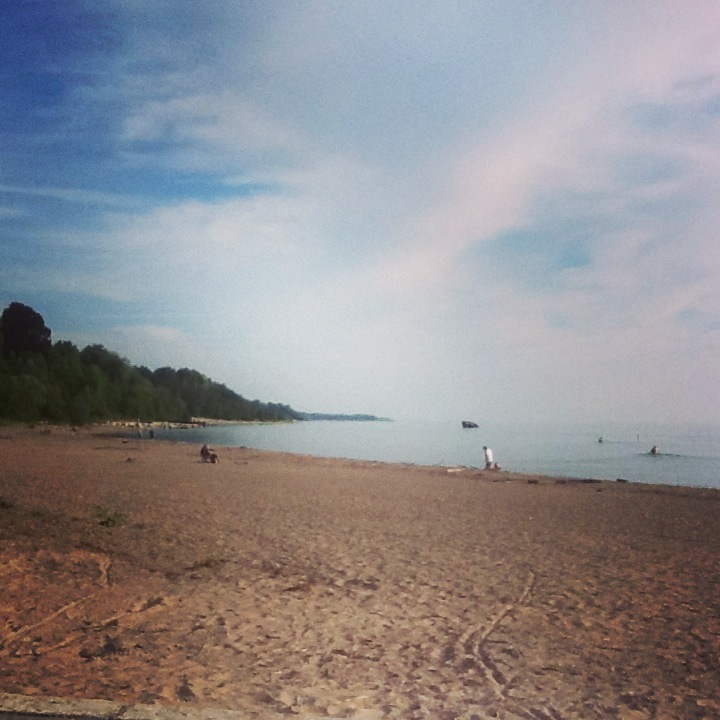 Where afternoon breaks are spent by gorgeous Lake Huron. So stay tuned and stay positive! Next Essaouira, the place to be in Morocco! Love the view from your office window! Hey there found your blog after a spanish friend suggested life in Morocco was much cheaper and fun than in Andalucia. I just started reading the blog but I know you’re in Toronto (great place that Gt Ormond St) so.. did you quit and if so why? Dear Mandy, I found your blog via twitter and because I´m planing a time in Morocco in november..I´m very impressed of your experiences and your way to write about. I will read more here! Thanks and best regards from Frankfurt, Germany. Thank you for your comment. I’m hope my blog will be useful when planning your holiday. Enjoy!